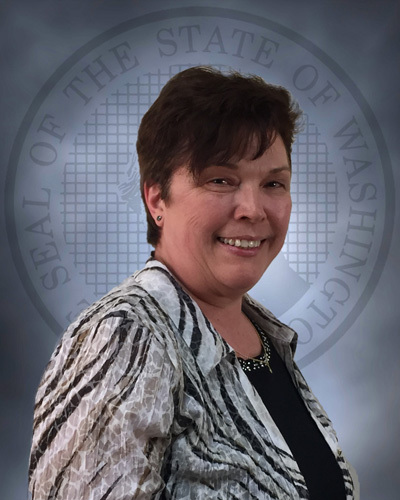 TUMWATER – Jo Wofford has been named as the superintendent of the Mission Creek Corrections Center (MCCCW) in Belfair, Wash. by Assistant Secretary Robert Herzog, effective July 1, 2017. Wofford currently serves as the Emergency Management and Disaster Recovery Specialist with the Washington Technology Solutions (WATech) and brings more than 21 years of experience and leadership in security and transitional planning to the role. Jo Wofford served for 14 years within the Washington State Department of Corrections before accepting her current position with WATech. During her tenure with Corrections, she served for 11 years as uniformed custody staff prior to promoting to associate superintendent of the Washington Corrections Center (WCC) in Shelton, Wash. in 2011. Throughout her correctional career, Wofford moved her facilities forward in ways that improved security and safety practices, including staff accountability work, enhanced transport security practices, and changes in inmate movement within facilities to decrease disturbances and violence. Additionally, she is a Federal Emergency Management Agency (FEMA) trained Incident Command System (ICS) instructor and served as an incident commander for the Departmental Incident Management Team (DIMT). Wofford takes over from Eleanor Vernell, who was appointed Deputy Prisons Director Command A, effective July 1, 2017.